Nine years since the iconic handset was taken out of production, the Motorola Razr is returning to terminate the Samsung Galaxy X folding phone. The explosive revelation, which is sure to have sent shockwaves resonating through the South Korean maker's HQ in Seoul, was reported in The Wall Street Journal, with the report not only confirming that the iconic handset is making a comeback as soon as February 2019, but also that the rebooted Motorola Razr would have a starting price of around $1,500 (£1,200). Regular readers of T3 will know this has been coming, with at first whispers in 2016 that Motorola might be about to bring back the Razr seemingly transforming last year into a full-on, rival-killing, next-gen project with just one purpose – gun down the Samsung Galaxy X with a futuristic folding phone of its very own. That futuristic phone is now confirmed to be a brand new Motorola Razr folding phone equipped with Qualcomm's powerful flagship Snapdragon 855 processor and a luxe folding OLED touchscreen that won't crease or snap. And, while unconfirmed, considering that the Snapdragon 855 has been built to work seamlessly with Qualcomm's pioneering 5G tech, it isn't hard to think that such a powerful and expensive handset could also boast a lighting fast 5G connection, too. Indeed, when the original Motorola Razr closed its clam shell design for the final time in 2010 after six years of market dominance (50 million phones were sold), with large-screened phones like the iPhone, which was released in 2007, suddenly becoming vogue, it wasn't hard to predict its iconic design would be back – and now, here in 2019 almost a decade later, the Razr has returned armed to the teeth with next-gen tech and features. A release as soon as February 2019 suggests that we should expect the Motorola Razr to unveiled in at or around Mobile World Congress 2019, with the handset ordered to arrive directly to counter Samsung's slated Galaxy X full reveal at the South Korean company's Galaxy S10 Unpacked event on the 20th. 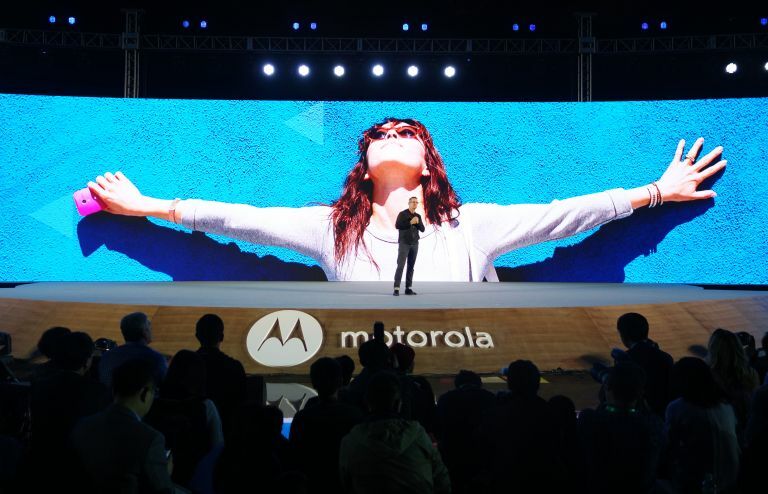 A February launch also seemingly indicates that Motorola wants to drop its futuristic killer smartphone weapon in such close proximity to the Samsung Galaxy X that a direct one-on-one fight is inevitable, both in terms of technical comparisons and market interest.